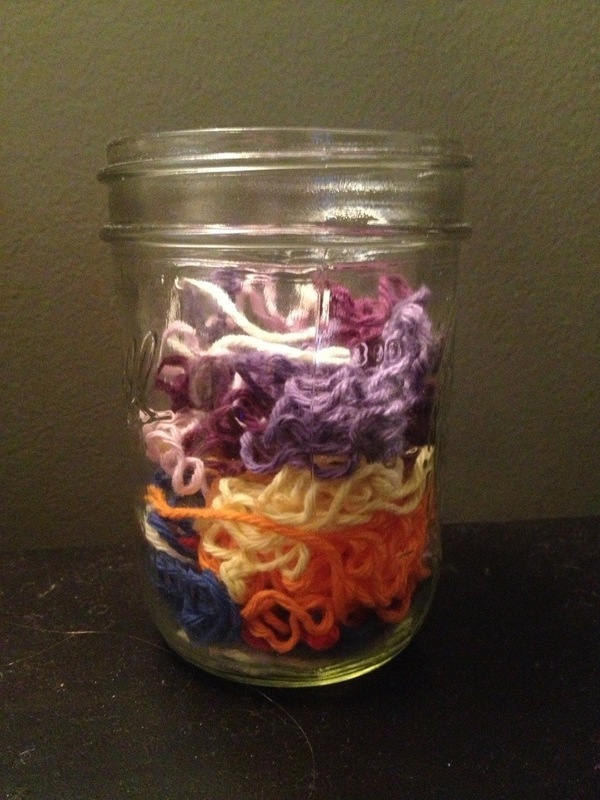 In this month’s totally useless stitch a long, we have a new addition, a yarn ORT jar. I’ve been working on Evie’s blanket a lot, as well as playing around with another crochet endeavor I’ll show off soon. 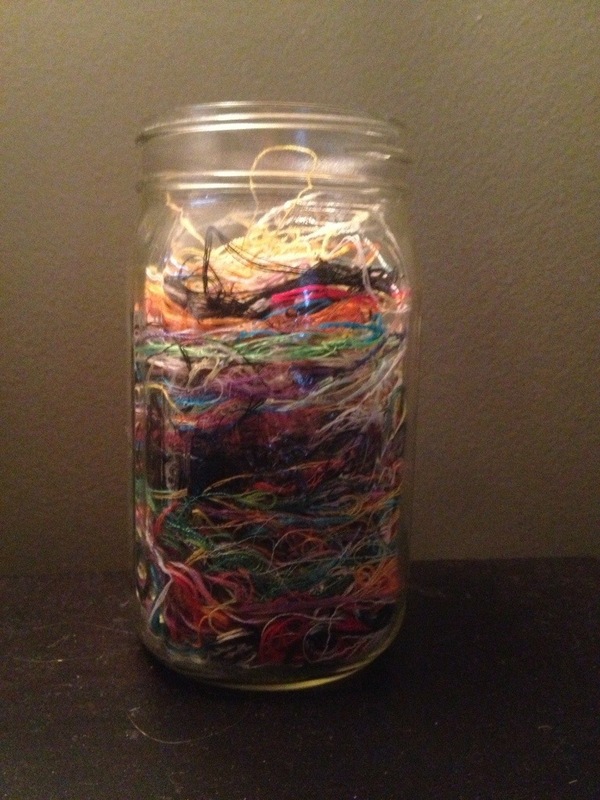 This has left me with enough yarn to start it’s own jar. See all the past updates here.